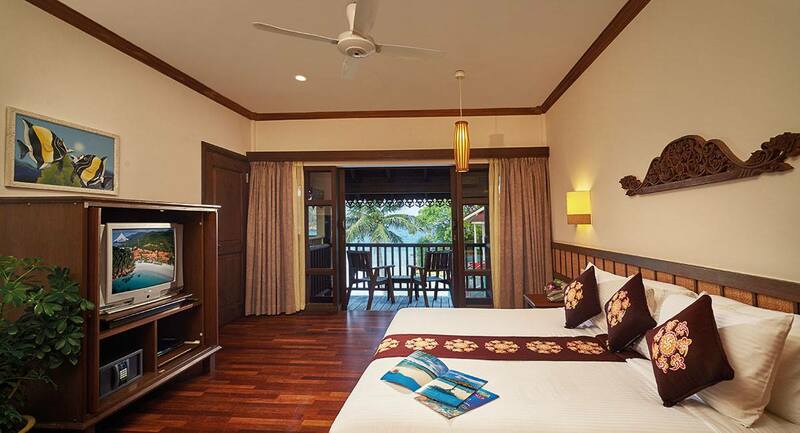 Rated as one of the best resorts in Malaysia, Laguna Redang Island Resort offers a unique experience. 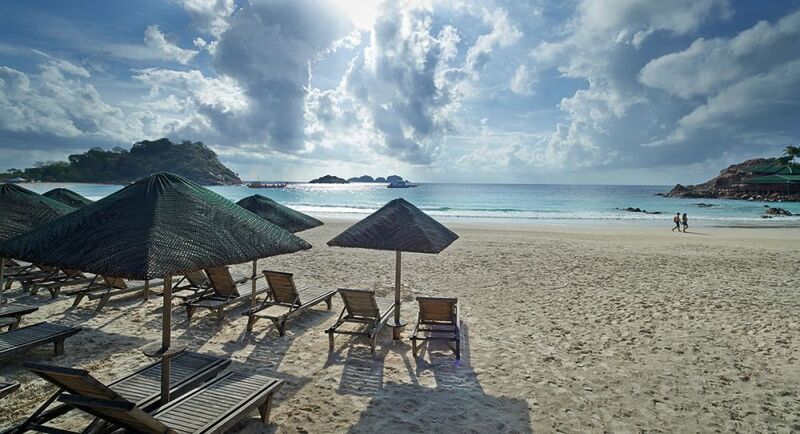 It is located on one of the best beaches on Redang Island and is set against a backdrop of fine powder-white sand, crystal-clear waters and emerald hills. 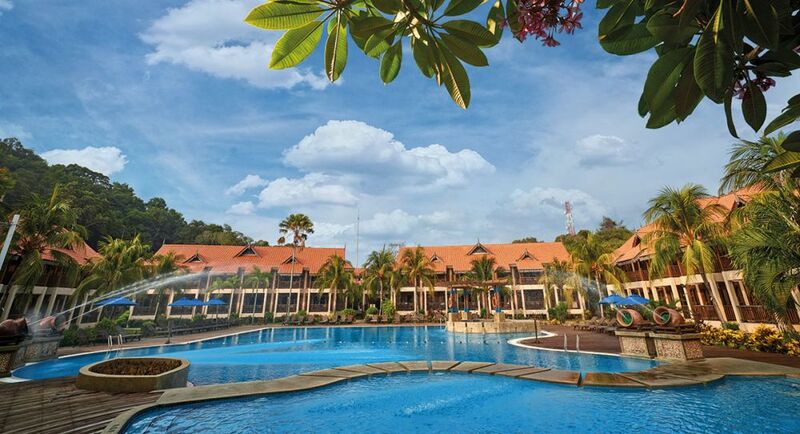 This low-rise resort with 222 spacious rooms and suites is designed as a modern interpretation of traditional Malay architecture, which blends harmoniously with the environment. Each of the 10 available room is equipped with three single beds. 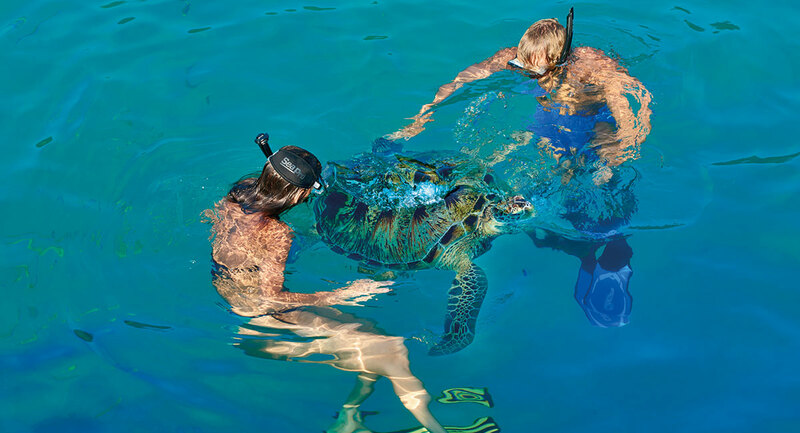 All located just beside the Dive Centre and is ideal for dive enthusiasts. They are also walking distance of 200m away from the main lobby and beachfront. With a choice of either the Queen or the Twin bedded room; the 172 Deluxe Garden Rooms overlook either the enchanting landscape garden or natural green forest. 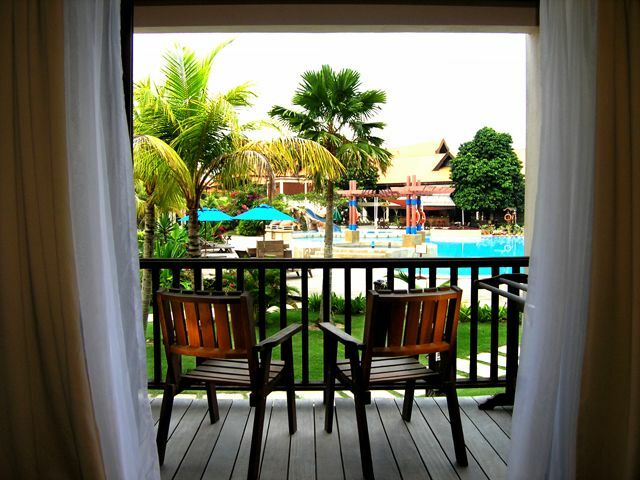 Room Size: 300 - 340 sq ft.
A variation of the Deluxe series with a pool view. Guests will get a choice of either Queen or Twin bedded room. 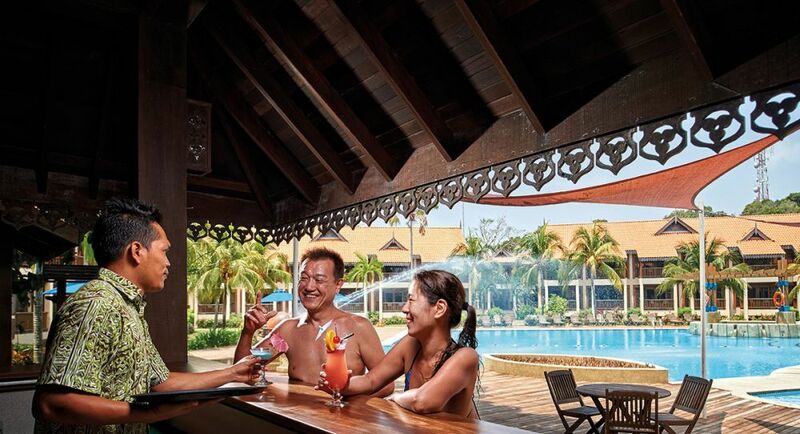 The 50 Deluxe Pool Rooms overlook the large swimming pool and children’s pool. 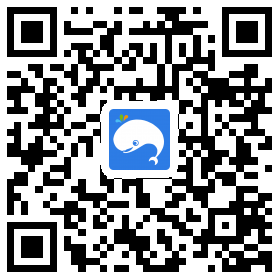 The sea version of the deluxe series, there is still the choice of either Queen or Twin bedded room. 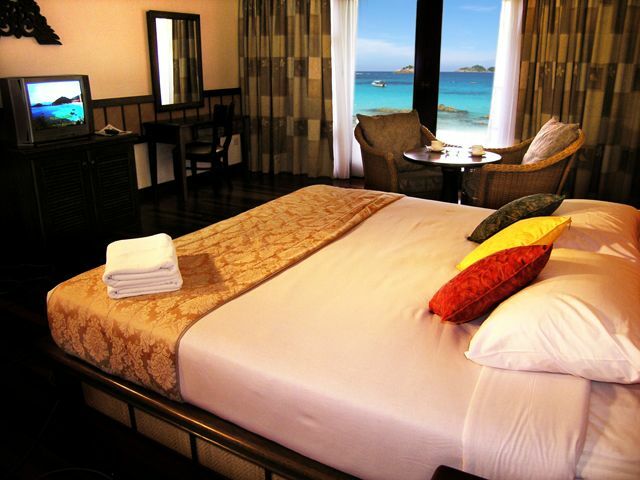 28 Deluxe Seaview Rooms available and comes with a breathtaking view of the white sandy beach and deep blue sea. 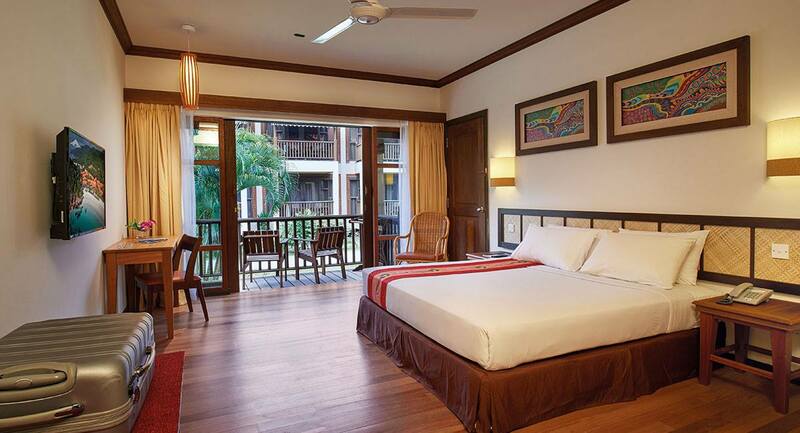 These upgraded rooms come with the choice of either King or Twin bedded room. Each of the 12 gracefully designed Premier Seaview Rooms comes with a long balcony overlooking the white sandy beach and deep blue sea. The D’ Manja Forest Spa also offers a 4 open-air wooden sheltered deck set along the pristine woods, designed to let you feel the spirit of the surrounding nature, the calming sound of the purling creek and the joyful chirping of birds while enjoying their series of treatments. 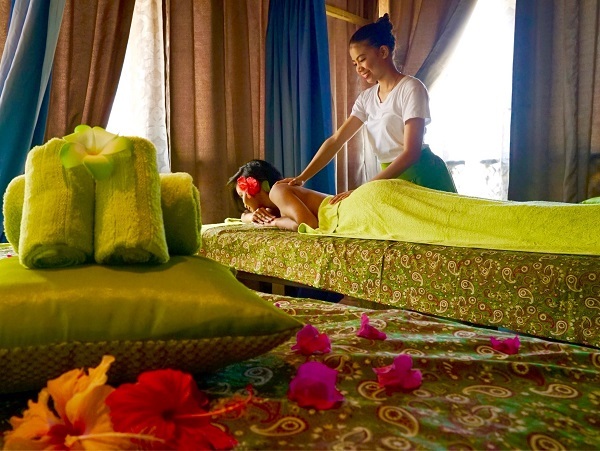 With a focus on health and wellness, the spa cooperates with Biossentials, a world known wellness and spa product. They offer a range of Asian inspired products to calm and soothe the senses with pure fragrances and ingredients from nature." 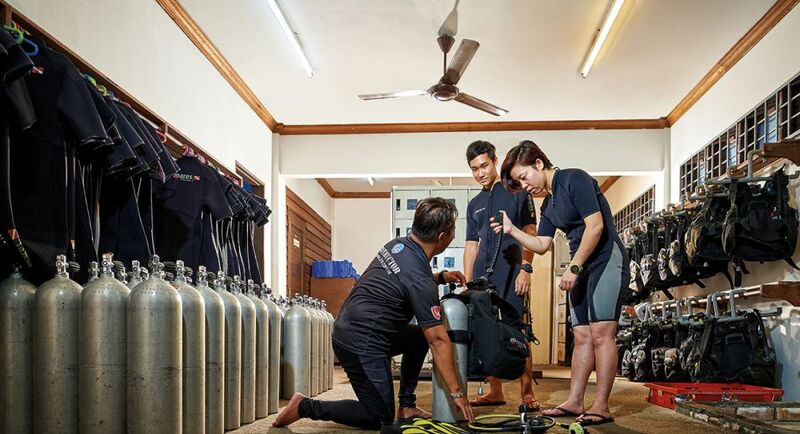 This PADI certified dive centre is well-equipped with the latest equipment and all boats carry emergency equipment - oxygen units, first aid kits, radios, life jackets etc. 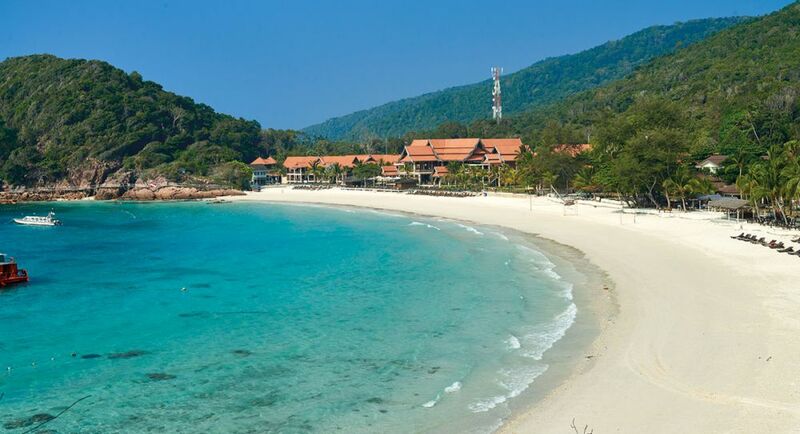 Also the one and only resort in Redang Island that offers Enriched Air Nitrox; which allows you more no decompression dive time, this means that you can now dive longer and get back to the water sooner. Whether you are a first-timer or an experienced pro, there is something for everyone. Experienced PADI instructors offer courses from PADI Open Water Diver up to PADI Open Water Instructor, according to PADI standards. For those who are interested in scuba diving but aren’t quite ready to take the certification course, you may try their Discover Scuba Diving. You’ll learn how to use scuba equipment in shallow water and get a quick and easy introduction to what it takes to explore the underwater world. It was initially designed as a temporary set for the Hong Kong Movie “Summer Holiday” in 1999. However, the set was unable to withstand the harsh island weather and hence deteriorated rapidly. In 2003, Laguna Redang Island Resort restored the building to its former glory with more robust construction methods and materials. 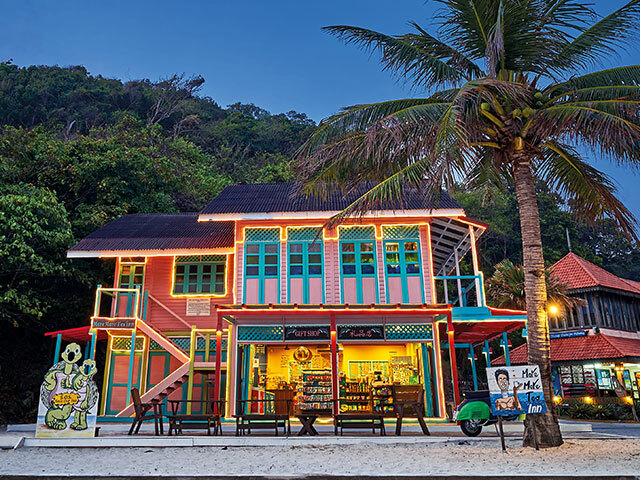 More More Tea Inn currently houses a gift shop for Laguna Redang Island Resort and offers a variety of souvenir items, handicraft, soft toys, apparel, accessories, toiletries, snacks and beverages. It is now one of the most popular attractions and a photography spot, particularly among visitors who have seen the movie.